The C. Bechstein C 234 semi grand piano is a sensational instrument of the Masterpiece Series. Developed by the unique German C. Bechstein Center of Excellence for Research and Development in dialogue with major artists and international professionals. A semi-concert grand piano, which knows no compromise in terms of quality. The C. Bechstein C 234 semi concert grand piano leaves nothing to be desired. It has a huge range of power and subtlety. This concert grand piano impresses with its almost overwhelming variety of colours and shades, versatility of sound and fantastic touch. The smaller brother of the C. Bechstein concert grand piano D 282 has an equally wide range of tonal colors. It displays the typical Bechstein sound transparency, an advantage with great effect for complex compositions! An instrument on which a musician can express all nuance gradations with satisfaction. 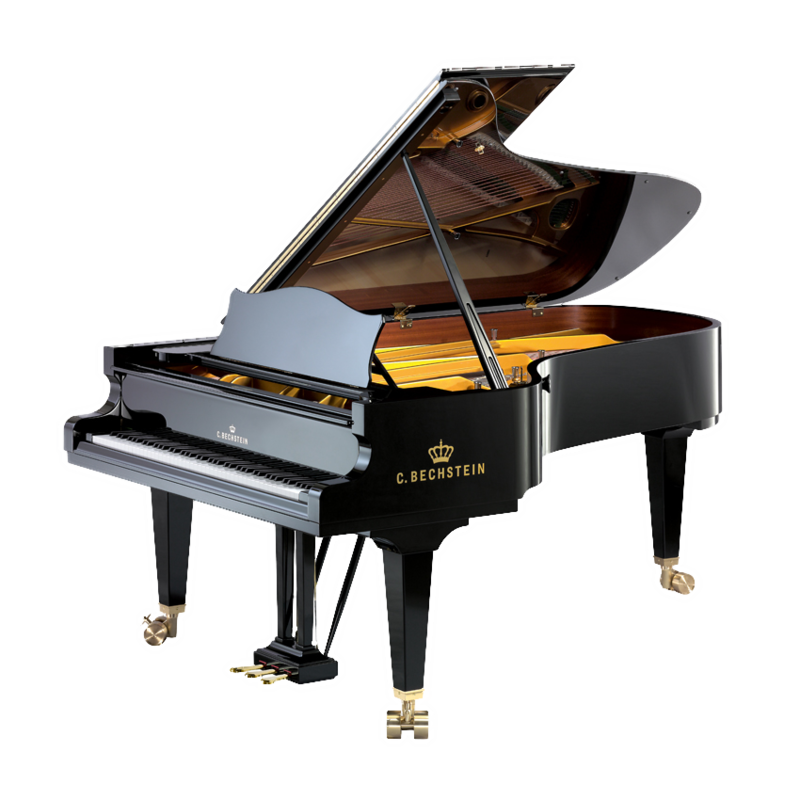 The C. Bechstein C 234 semi concert grand piano is equipped, of course, like any C.Bechstein grand piano of the masterpice series with a full cast iron plate from the finest raw materials, Capo d’astro and C. Bechstein duplex system. Its production in German manufacturing takes years, thus the C. Bechstein grand piano C 234 matures to an individual masterpiece. In product comparison, these concert grand pianos impress in every way. It is the perfect grand piano for medium-sized concert halls, absolutely ideal chamber music partner, dream of a pianist. The precision and elegance of the action is is an advantage for every player. It is a great enjoyment to be able to play on this grand piano. Well-suited for all literature and every style. The C. Bechstein C 234 semi concert grand piano can be equipped with the Vario System.